The celebration of Easter in Naples is quite an event, combining established religious practices with traditional customs, some of which have pagan origins. Yet, the pivotal part of this holiday for the locals is most certainly the culinary itinerary they will be following! For the typical Neapolitan, food is always an important part of each and every occurrence because it represents a moment of reconciliation, unity and conviviality. In this particular holy celebration the preparation and consumption of Easter food follows a precise scheme. As a matter of fact, each day is dedicated to the creation of one or more of the extraordinarily delicious Easter food dishes that will be served and eaten in the coming days. The very first day of cooking starts on Holy Wednesday, when the Taralli, a round, savoury biscuit with a hole in the middle, are baked. 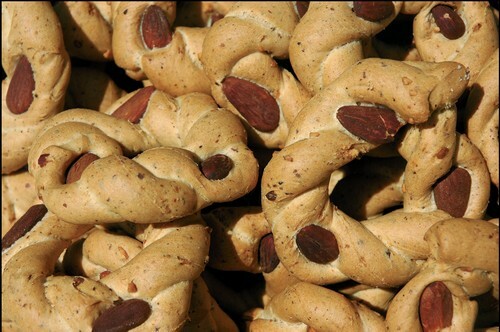 These delectable treats are made of sour dough with the addition of nuts and Sugna, a particularly heavy pig fat commonly used in southern Italian cuisine. These will usually be eaten after Friday which is the last day of meat fasting. On the next day, Holy Thursday, the meals will obviously contain fish as their main ingredient. Many Neapolitan families will prepare pasta with clams and have light cheeses afterwards but the true tradition lovers will consume the Zupp’ ‘e Cozz’. 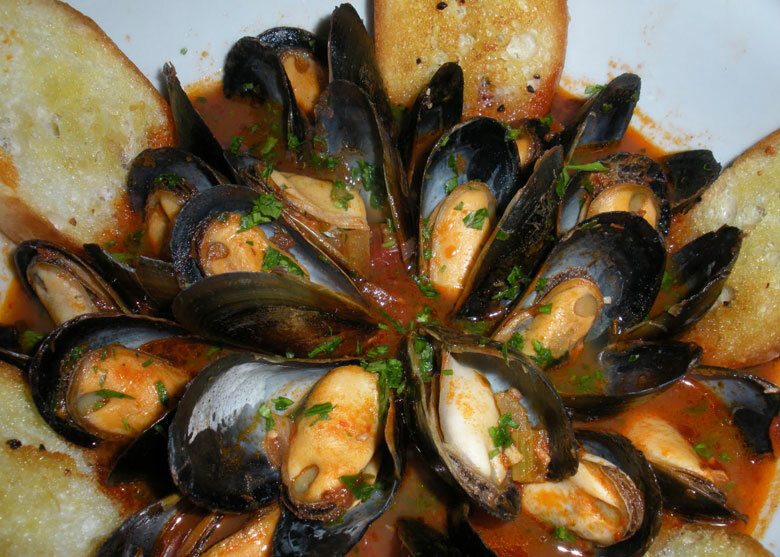 This is a regional mussel soup with the addition of octopus and crispy, golden bread croutons. 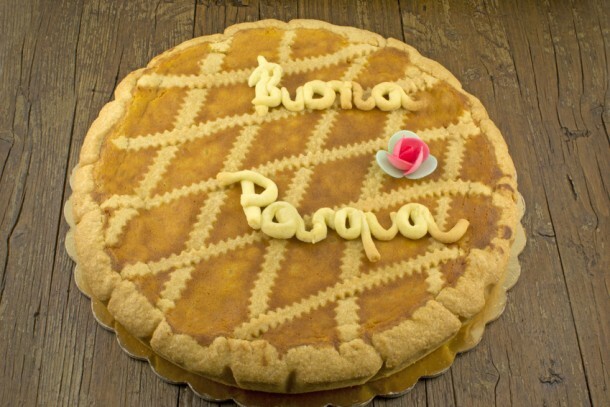 Thursday is especially dedicated to the preparation of one of the most important treats of all the Easter food menu: the Pastiera Napoletana, the queen of Neapolitan deserts! This sweet cake is made with seven crucial ingredients, that symbolise abundance and richness, which are: flour, ricotta cheese, eggs, wheat, orange blossom water, spices and sugar. 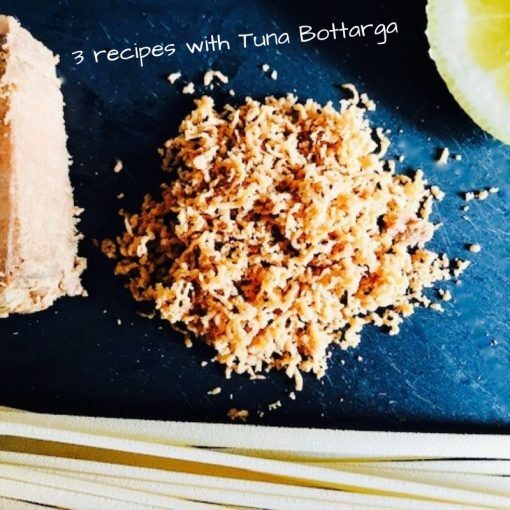 Many legends lay behind the creation of this delicacy but the most interesting one recalls Pagan worshippers of the Sirena Partenopea, thought to be the most beautiful mermaid of the Gulf of Naples, bringing her these ingredients as a gift. While accepting them it is believed she accidentally mixed them all together, creating the first, involuntary Pastiera. 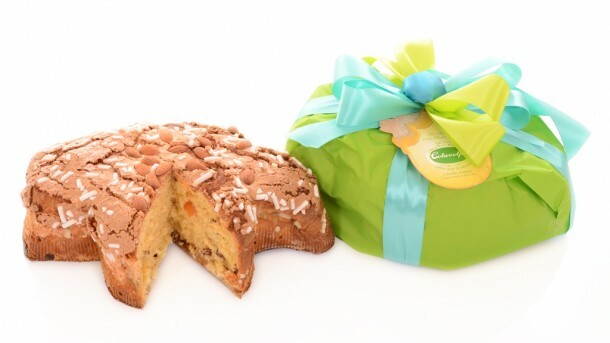 This cake is prepared in advance and eaten on Easter Sunday because it gains flavour while resting. On Friday the faithful Christian will fast completely and on Saturday he will prepare another famous work of art: the Casatiello. This is a characteristic stuffed bread made with salami, lard and pork cracklings. 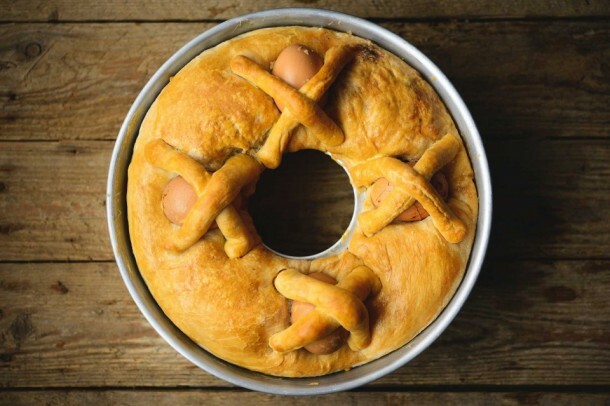 This version in particular bears whole, hard boiled eggs nested in the dough that differentiate it from the Tortano, which instead contains peeled and cut-up eggs. 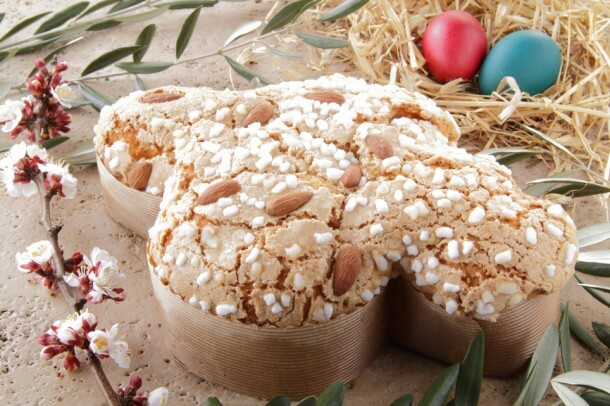 These are usually made in twos: the first one is eaten that same evening with Fellata, a mixed cold-cuts platter, while the other one will be kept for Pasquetta which is the Italian name for Easter Monday. On this day, which follows Easter, people usually go out for a picnic with the leftovers of Sunday or have a barbecue in a local green area. Finally, on Sunday, the Easter lunch is served! 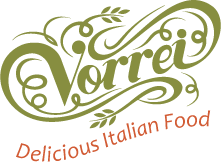 It will consist of a multiple course meal with an overabundant quantity of generous portions of food. Generally these will include various starters, a main of Minestra Maritata (or Wedded Soup which is made of chicken, sausage, broth and mixed greens), a second main of lamb and kidskin with a side of peas or fried artichokes, more Casatiello and cold-cuts and, of course, the Pastiera! 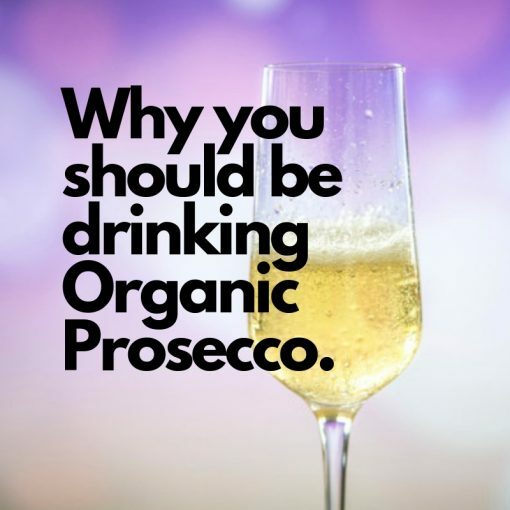 If you think you won’t survive this Easter food overdose, brace yourselves: Pasquetta is next and the Neapolitans take it very seriously as well! 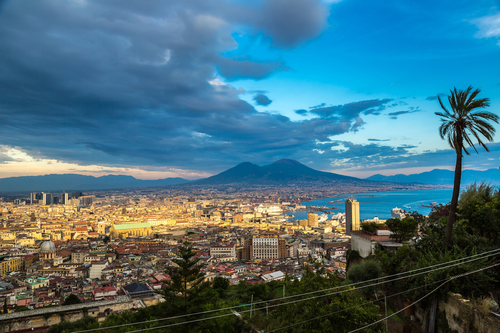 Have you ever spent Easter in Naples or anywhere else in Italy? Tell us all about the menu!